Warcraft II Battle.net Edition - Return to the Age of Chaos and wage war against live Orc and Human opponents with the same skill and fearless intensity you lived and breathed in your Warcraft: Orcs and Humans career. Put your skills to the ultimate test in the most epic Warcraft II battles ever. In anticipation of the upcoming 25th anniversary of Warcraft, we brought you the real-time strategy classics that started it all Warcraft: Orcs and Humans and Warcraft II Battle.net Edition, including both the original Tides of Darkness and the Beyond the Dark Portal expansion. Starting today, players can once again explore these universe-defining games as they become available digitally and DRM-free for the first time ever! The first part of the legendary series plays and feels just like the original from 1994, it’s just updated to run flawlessly on modern operating systems. 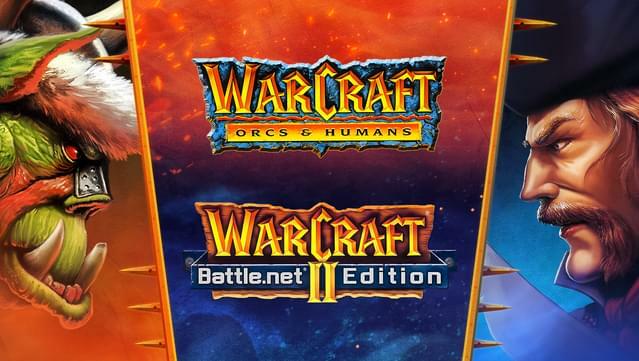 Warcraft II Battle.net Edition, similarly to the release of first Diablo on GOG.COM, comes in two versions, which players will choose from the launcher. The classic one allows for the authentic experience and a fully functional multiplayer with Blizzard’s Battle.net online gaming service. The updated version comes with a number of fixes to provide full compatibility with modern machines as well as hi-resolution support and upscaling. System requirements, bonus goodies, and features may vary between games - please check individual product pages for details.